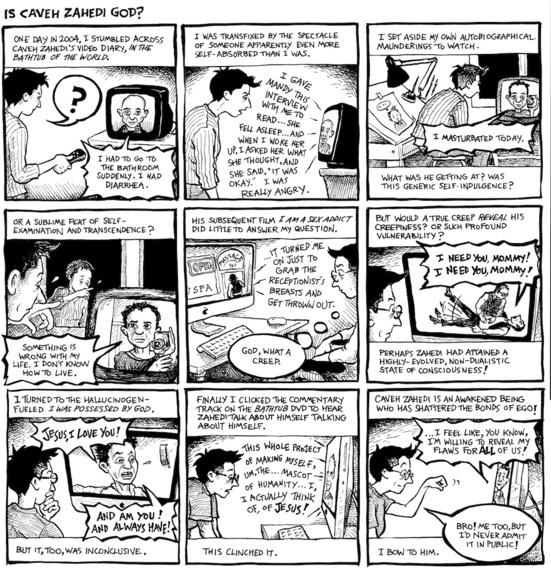 Alison Bechdel: Is Caveh Zahedi God? "I was transfixed by the spectacle of someone apparently even more self-absorbed than I was." 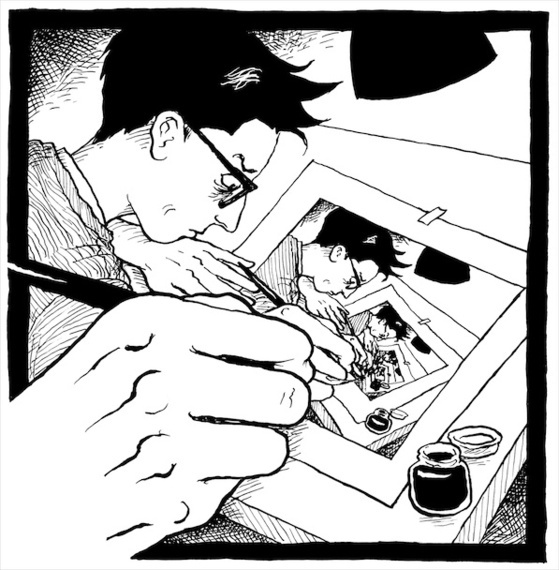 Alison Bechdel shares with Fandor's Keyframe her take on the work of Caveh Zahedi. 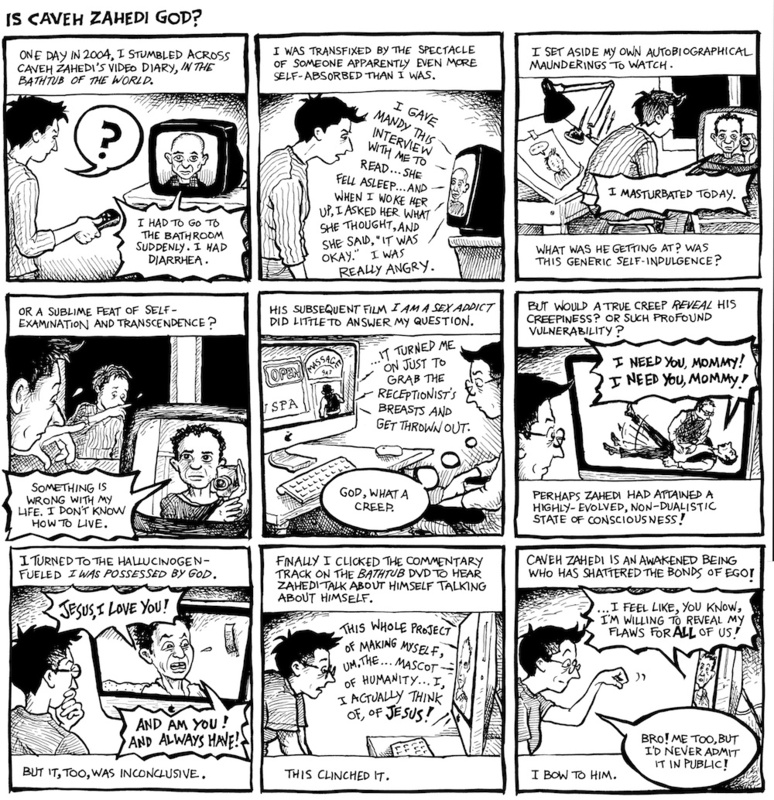 Click here for full-size version of "Is Caveh Zahedi God?" Alison Bechdel's "Is Caveh Zahedi God?" also appears in Caveh Zahedi's box set, Digging My Own Grave. Click here to see the original story as it appeared on Fandor's Keyframe.